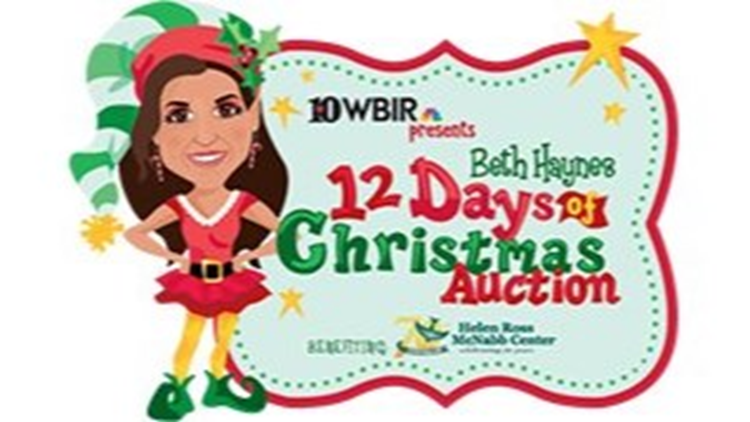 The Beth Haynes 12 Days of Christmas is a fun online auction that benefits children and families served by the Helen Ross McNabb Center! Do your Christmas shopping and help out a good cause at the same time! The money raised through the auction goes to help more than 2,00 children and families in need during the holiday season and throughout the year. There will be more than 300 unique items and experiences up for bid throughout the auction, which runs from Dec. 1 through Dec. 12. Last year, we raised $50,000 for 2,000 kids in 25 counties. Click here to see the auction.